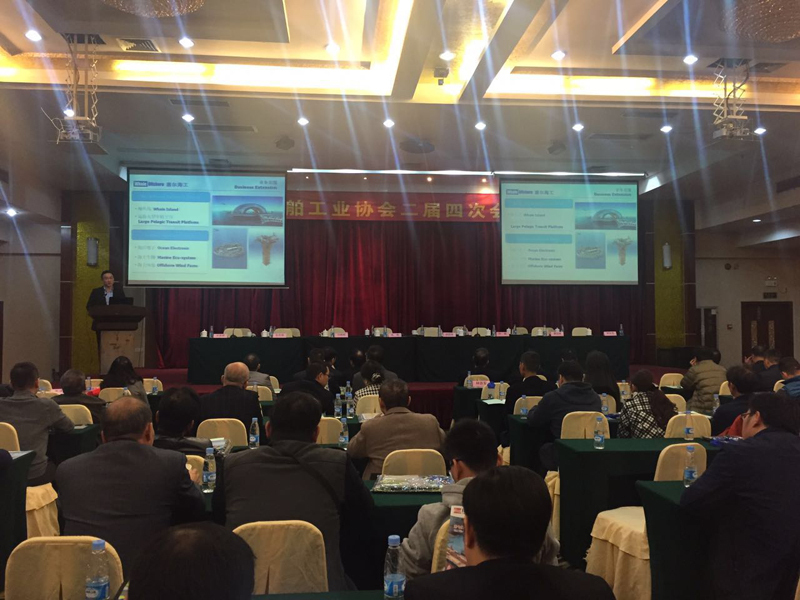 On Dec 29th 2015, the 4th conference of the second session of Guangdong Marine Manufacturers Association was held in the Conference Center of Guangzhou Hongfan Hotel.Representatives of Shenzhen Ocean Industry Association and Shenzhen Offshore Oil Contractors Association attended the meeting. 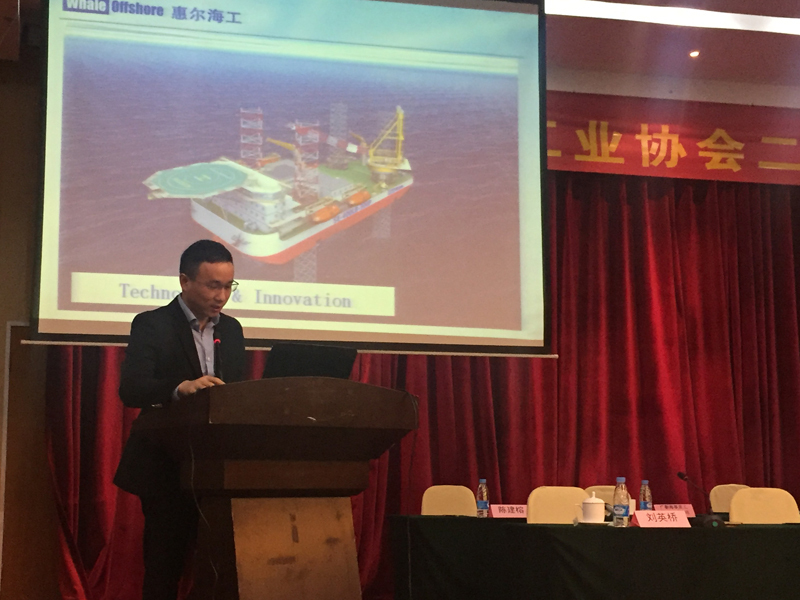 The Vice General Manager of Whale Offshore, Mr. Xiong Wei made a speech on the subject of ‘Technology Innovation Flourishes the Development of Offshore Industry’, which drew heated responses. As a well-known offshore engineering company, with 15 years of project experience, combining the market-oriented idea, Whale Offshore is applying the offshore technology to fishery and tourism industry, developed projects like Deep Ocean Fish Farm and Whale Island. During the conference, Whale Offshore gave detail demonstration on this innovative designing idea.